When you install a frame-less glass shower door, you’re adding a simple upgrade that increases value and adds a bit of luxury to your home. 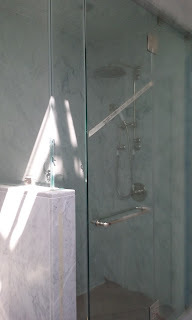 Our glass shower doors are all custom and made to order giving you the opportunity to customize your bathroom. Adding a frame-less glass shower door provides a modern look that will benefit the décor of a bathroom. Our frameless glass shower doors add a level of beauty to a shower that simply can’t be duplicated with a traditional framed shower door. Some people have concerns about the durability of a frameless glass shower door, but since they’re made of the tempered glass they are incredibly durable. You can accidentally run or bump into your frameless glass shower door without a second worry as the door will hold up with ease.